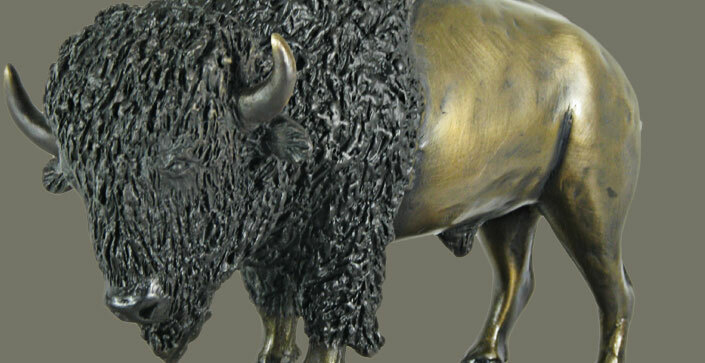 Once your piece is cast, we arrange for pickup and return it to Rocky Mountain Bronze Shop to be assembled. This step requires close collaboration with the artist to ensure just the right angles and gestures are preserved in the finished assembly. 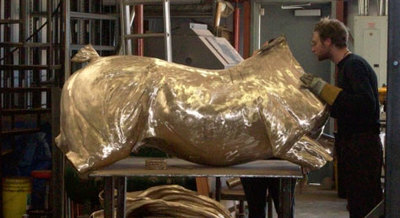 Close collaboration is something we encourage and are prepared for, from the smallest maquette to the largest monument. Artist, engineers, and production team all pull together and keep the process running smoothly and all parties informed as to the assembly progress. This communication ensures engineering standards are met as well as allowing us to alway be accurate in keeping track of the look of the finished piece. We provide top quality workmanship from start to finish, and work closely with each artist to provide the level of service their work demands. Sometimes this is a local arrangement, sometimes it takes place long distance, but either way, we are equipped to meet ... and exceed requirements. We strive to ensure you and your clients are pleased with the final result.